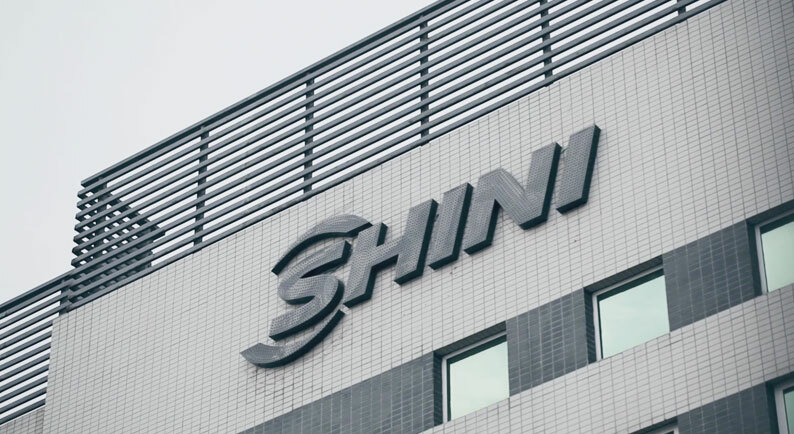 Shini is organized into 6 different sales regions representing over 80 countries on all continents. We thereby ensure our customers access to our engineering and other services because we are located nearby. Our Tech Centers are proof of our customer commitment and are maintained and located in each sales region. Our customers can find project-based process applications in each of our Tech Centers. 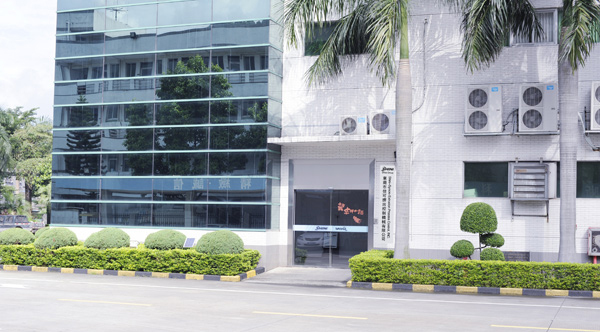 Shini Plastics Technologies, Inc. covers an area of 12,000m2 with more than 70 employees, which is responsible for the marketing in Taiwan and the manufacturing of products in great demand. CTC is responsible for the research and development, application, global marketing and technical support for all series of Shini products. In 2008, CTC established a cooperative tie of Industrial-Education-Research with Dongguan College of Technology, with whom Shini has founded Practice Teaching Base. The base mainly provides outsourcing projects research and employees on job training. Shini Plastics Technologies (Dongguan), Inc. 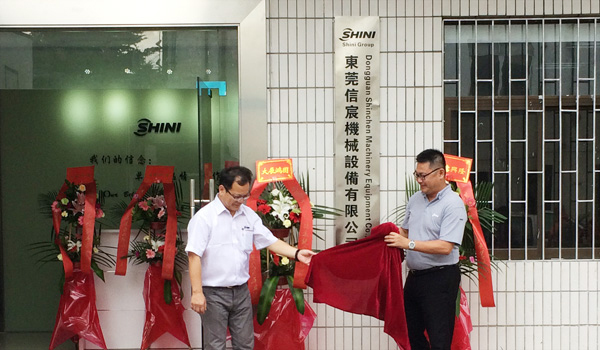 Founded in 1992, Shini Dongguan covers an area of 66,000 square meters with a total number of over 900 employees. Shini Dongguan is responsible for global marketing in South China and manufacture of all series products. Shini Plastic Technology (Ningbo), Inc. The newly established casting department in Shini Ningbo has been formally put into production in July, 2010, aiming to serve wide customers in terms of making a balance of domestic market supply and demand and to improve the situation of quality instability and long lead time. 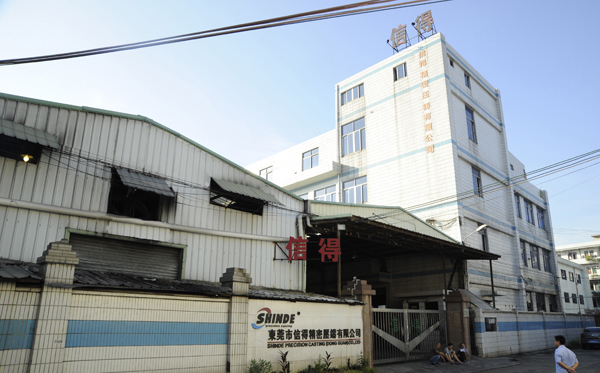 Shini Ningbo is responsible for manufacturing all of castings for Shini group. Shini Plastic Technologies (China), Inc.
Shini Pinghu was put into production in commission on February, 2010. Covering an area of 100 acres, Shini Pinghu is considered the biggest manufacture base for plastic auxiliary equipments around the world. Initial investment amounts to 200 million RMB and the total employees number is 450. It is responsible for marketing in East as well as North China and capable of manufacturing almost all series of products. Shinden Precision Machinery (Chongqing), Inc.
Shinden Precision Machinery (Chongqing), Inc. is the West China manufacturer which started construction in May, 2011 by Shini Group, and was successfully put into production in the end of 2014. Shini West China manufacturer is responsible for marketing in Central as well as West China and capable of manufacturing almost all series of products. Shini Plastic Technologies India Pvt. Ltd. Starting the service in Nov. 2009, Shini Plastics Technologies India Pvt. Ltd. is Shini^s first production base outside China, which was responsible for manufacture and marketing in India. Currently Shini India is mainly oriented to domestic market. SHINI Germany Gmbh is located at the sixth largest city (Stuttgart) in southwest of Germany. There's famous for high technology industry around the city. Meanwhile, Shini is going to bring about all its products. Shini Vietnam (Hanoi) is located near by Hanoi international airport. It’s central location for convenient transportation. In recent years, many domestic and foreign industries have been stationed in the vicinity. Meanwhile, Shini is offering various solutions for the industries. Shide Precision Castings (Dongguan) Co, Ltd. Located at Dalang, Donguan city, Shide Precision Castings Company specializes in manufacturing aluminum die-casting and hardware fitting. Shide Precision Castings Company always sticks to the develop aim of High starting point, Mass production and Specialization and adheres to management idea of Quality First, Credibility First, Customers First, Service First. Shini-Syncro Extrusion Process Control (Dongguan), Inc.
Shini group joined with Italian Syncro Corporation on September 1st to establish Shini-Syncro Extrusion Process Control (Dongguan), Inc., which was planning to supply extrusion technologies for the manufacturers of the mainland and Asian regions. Shinzo Hot Runner Systems, Inc.
To keep up with the pace of the market, Shini group established another branch company, Shinzo Hot Runner System, Inc. in August, 2012 which specialized in R&D, manufacturing and marketing of hot runner system, temperature controller, timing controller and heating elements. Equipped with outstanding talents, high-end machinery and precise testing equipments, as well as the impeccable system, Shinzo people are ready to serve the customer. 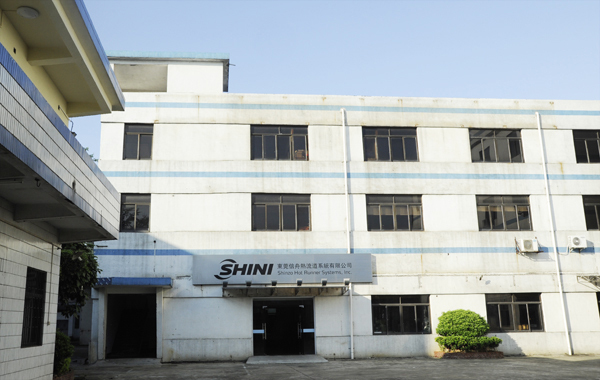 Shinchen Engineering Co., Ltd once before was the pneumatic conveying department of Dongguan Shini. As the development of Shini group, Shinchen Engineering Co., Ltd was established in 2014. It mainly engaged in the filed of air conveying equipments (such as rotary valve, knife valve, branch valve etc.) and the system of high pressure conveying , low pressure conveying, measurement & mixing, storage & discharge as well as in design, research, sales and implementation of control system. There is always an exceptional culture behind an outstanding company. The culture includes people, working environment, working atmosphere, nature environment and harmonious society. 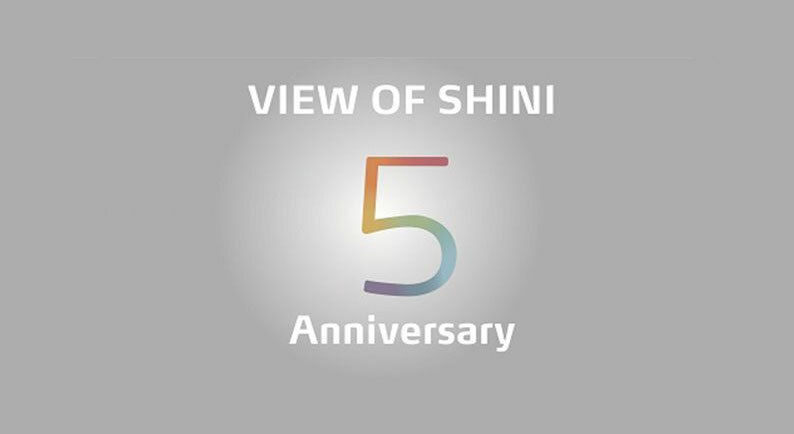 Over 40 years, numerous Shiniers are proud of being a member of Shini. It is Love, so we persist. It is Trust, so we persist. It is Career, so we persist. Shini is every Shinier's career. Under the effort of this big family, Shini has received several government honors, awards and patents.Shini is a spiritual home. Every individual heart is held together through the excellent enterprise culture. The comfortable work environment and peaceful living atmosphere provide all Shiniers a cheerful every single day.